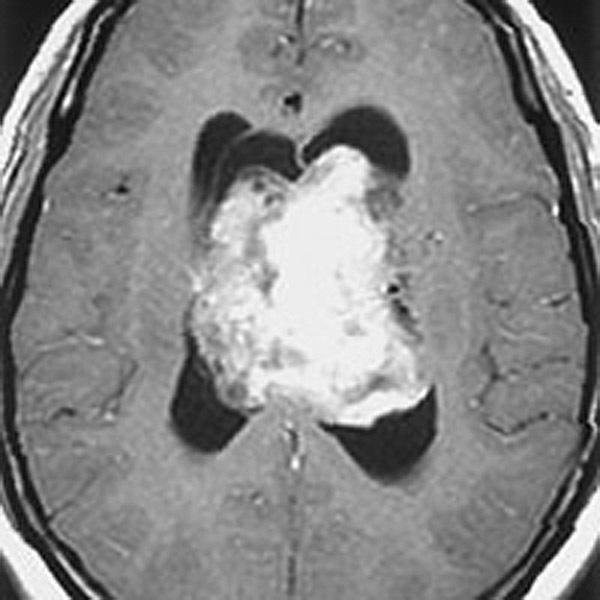 Central neurocytomas, classified as “mixed neuronal and glial” tumors, present in children and young adults as well-circumscribed intraventricular masses that are often amenable to total surgical removal. Benign: These tumors are essentially benign, but there is an “atypical” variant that is more aggressive in behavior. Gross total resection preferred: Given their intraventricular location, total surgical resection is usually possible and is the treatment of choice. Radiation for unresectable tumor and atypical variant: For residual tumor and “atypical” cases, adjuvant therapy is indicated in the form of radiotherapy. Both conventional and stereotactic radiotherapy have been used with equal success.